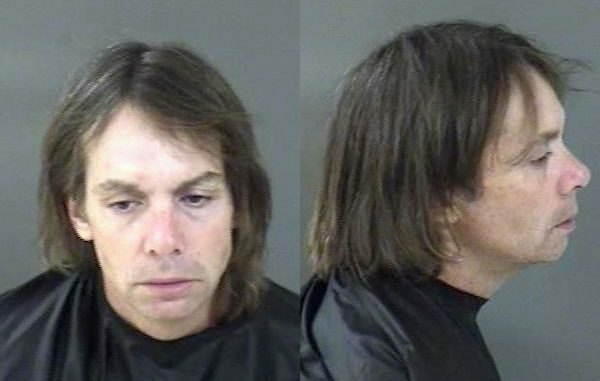 VERO BEACH – A 40-year-old man has been charged with Felony Burglary and Felony Grand Theft after burglarizing a home in Vero Beach. On Monday, the Indian River County Sheriff’s Office received a call from a home located in the 7000 block of 134th Street in reference to a burglary. The victim stated that between the hours of 10:00 a.m. and 4:00 p.m., someone had broken into her home and stole several items from her bedroom, including jewelry, a 32″ flat screen television, multiple jewelry boxes, a camera, and a purse. On Tuesday, Kyle Sims was arrested for loitering and prowling and was in possession of jewelry and a camera that matched the description of items stolen at the Vero Beach home. Also in Sims’ possession were credit cards, a social security card, and a key belonging to a Honda vehicle owned by the victim. “I then responded to the jail and made contact with Kyle Sims. I read Sims his Miranda warning and asked if he was willing to speak with me at this time. Sims stated ‘yes.’ Sims then stated he never had the makeup bag in his possession and he does not know anything about a burglary,” the deputy said. The deputy determined that he had enough evidence to charge Sims with burglary and grand theft. Sims, who listed his address in Sebastian with the arresting deputy, remains in the Indian River County jail with a $36,500 bond.